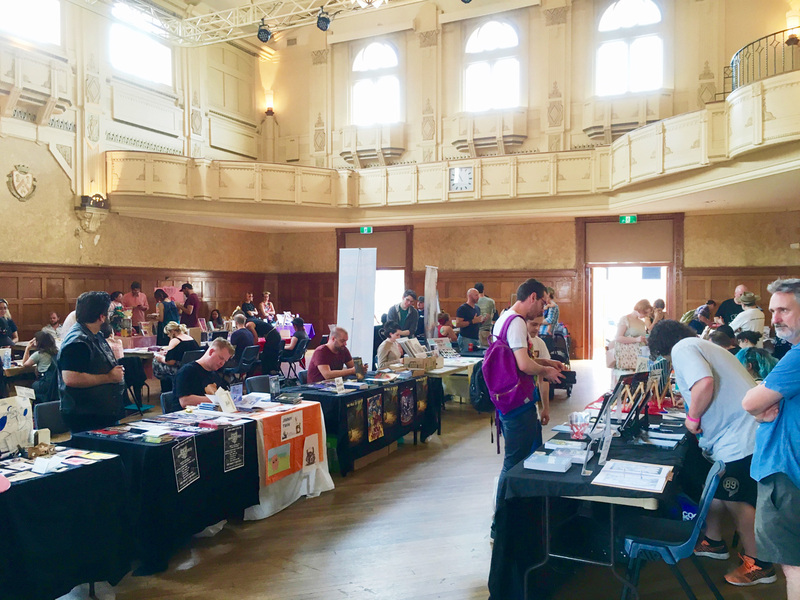 Indie Comic Con celebrates independent Australian comic culture by bringing together local artists for a market day. This happened in the Northcote Town Hall Arts Centre. It was organized by Nathan Onias, who is a local creator himself. This was the first time for me to join such an event as an exhibitor. I got half a table with another artist friend, Steve Edwards of Fallen Idols. 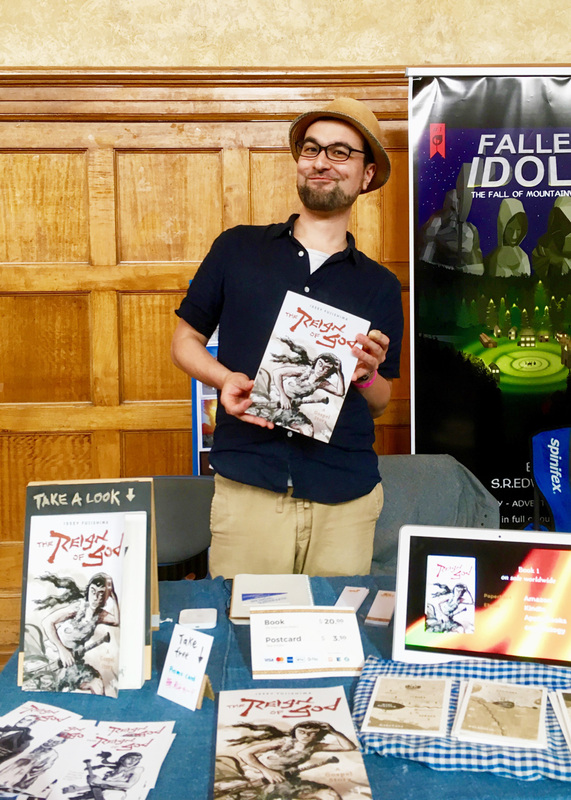 It was a great experience talking directly to visitors and explain what my comic is about. I made some modest sales of THE REIGN OF GOD and the postcards I made from the mosaic map design inside the book. Not much time to leave my table to talk with other creators. But I could meet some friends who are part of the monthly Melbourne Comic Creators Meetup that has connected me well with some people: Tom Tung, Matt McGrillen, S.C.A.R.… Also Rachel Ang with her beautiful new book Swim Suit. What I really appreciate about Australian creators is that they are friendly—none of the boastful or distant behavior I’ve sometimes felt in other places with artists. People here are supportive and diverse. Gives me lots of motivation to draw more in 2019.